Dedicated To Our Past Moderator Pastor/Dr. H.E. 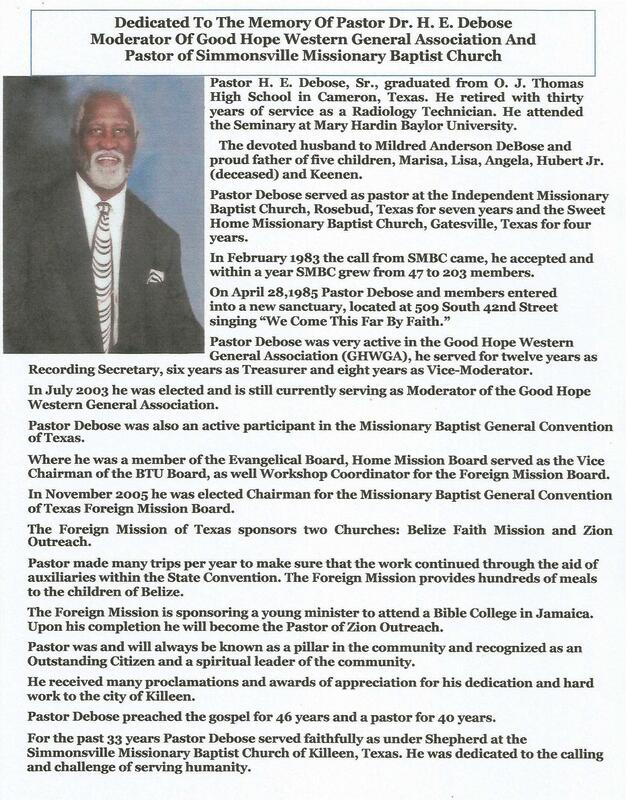 Debose, Sr.